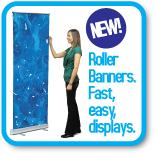 We are Bedfordshire’s premier supplier of bespoke signage, graphics and labels. With many years experience our specialist service covers all aspects of sign and display for the retail and commercial client. With continuous investment in the latest digital graphics systems we can print in full colour, to large format sizes on many different medias and substrates. Our small dedicated team prides itself on attention to detail. 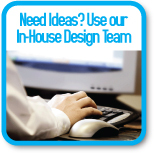 We have an in-house design team capable of turning your ideas into reality. And our skilled installation team are ready to undertake your project quickly and efficiently giving you peace of mind. 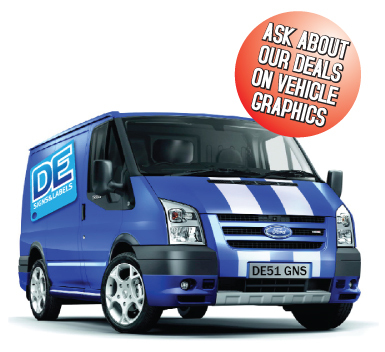 If it’s vehicle livery you're looking for then we are the people to be talking to. From one-offs to fleets we can handle it. 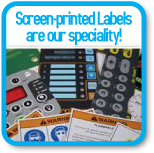 At DE Signs & Labels we also have a vast range of off-the-shelf display products for you to choose from. 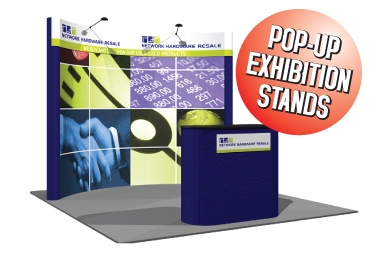 These portable ‘pop-up’ style systems have become increasingly popular in recent years due to their high quality, ease of use and versatility. 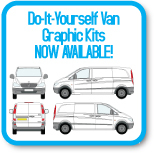 We are also specialists in the art of screen printing and produce many self adhesive labels and nameplates for large national blue chip companies. Samples available on request.